The Warrenville Park District offers a variety of fitness opportunities; for more information, visit their website at www.warrenvilleparks.org. FitnessNOW: a fitness center with state-of-the-art equipment offered at affordable fees. The center includes an indoor running and walking track. In addition, personal trainers are available to help you with an individually tailored workout routine, nutrition advice, and an atmosphere of encouragement and positive reinforcement. Group Fitness Classes: a wide variety of classes are offered at the Warrenville Park District for people of all ages and fitness levels. Class offerings include: Tai Chi, Sit & Get Fit, Butts n Gutts, Total Body Conditioning, Boot Camp, Guns & Abs, Yoga, Pilates, and Zumba. Sign up for a session or purchase a Flex Pass, which allows you to take any group fitness class any time you want. Martial Arts Classes: improve your internal strength and health by taking a martial arts class. Classes are available for a variety of ages and skill levels. Performing Arts & Dance: from line dancing to ballet to Hip Hop, the Warrenville Park District offers many dance classes for dancers of all ages. Some classes end with a public performance. Athletics: no matter what the season, the Warrenville Park District offers a range of athletic opportunities for everyone, including classes and leagues. 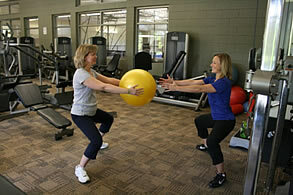 Open Gym: come join us at the Recreation Center gym for an hour or two of play. We have various Open Gyms scheduled throughout the week; no advance registration is necessary; pay at the door.